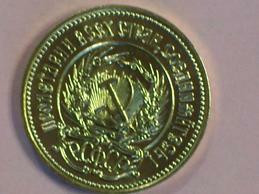 You are looking at a beautiful 1977 Russian Chervonetz (10 Roubles). 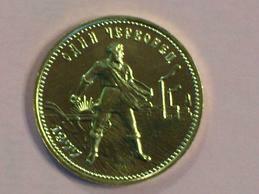 The front features a Russian farm labourer sowing wheat, with factories and farm machinery in the background symbolising the Soviet work ethic. The back has the Hammer & Sickle emblem surrounded each side by chaffs of wheat.